This is a sponsored post written by me on behalf of Daytona Beach Area Convention and Visitors Bureau. All opinions are 100% mine. Do you want to know a secret? 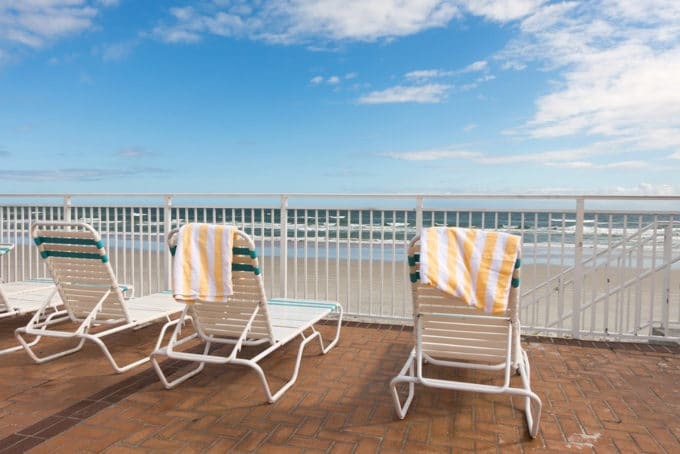 Fall and Winter are the best times to enjoy the Endless Summer in Daytona Beach! 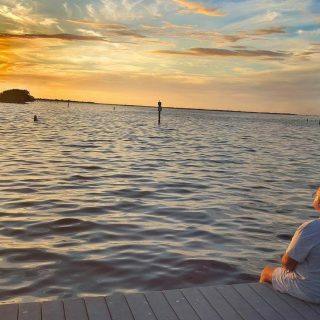 Labor Day signals the traditional end of summer, but on the beautiful Atlantic Coast of Florida, we get to enjoy our favorite time of year. You might call it fall or winter but we like to refer to it as the Endless Summer. 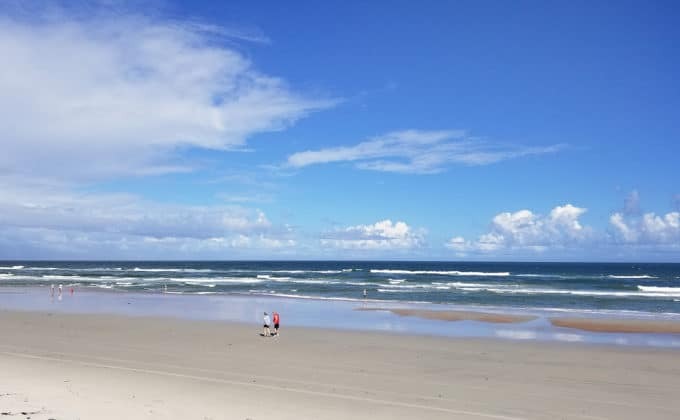 Locals know it really is the best time to enjoy the beautiful beaches and deliciousness of Daytona Beach without the crowds of summer. 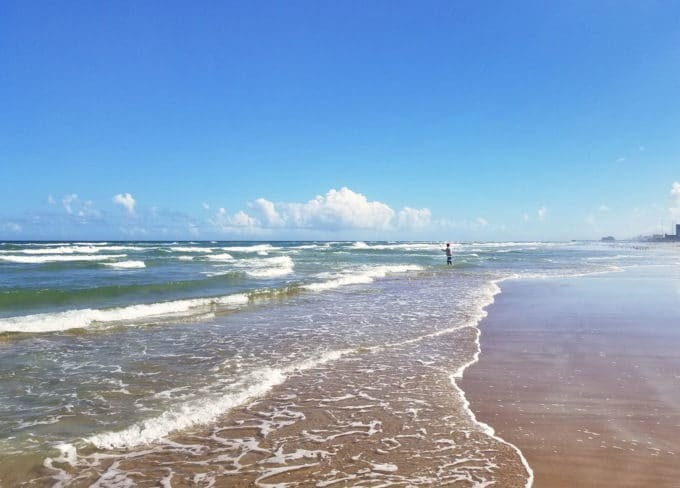 Seriously, what could be better than sunny days with blue skies and puffy white clouds, delightfully warm waves, cool ocean breezes and your toes in the sand while you enjoy a relaxing day of fun in the sun? Well since you asked, spending a day of relaxation in the sun and surf can work up quite an appetite! 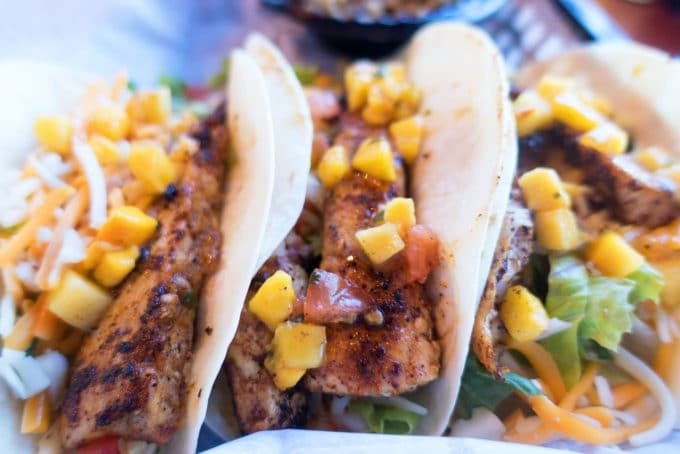 And when it comes to the culinary scene, Daytona Beach won’t let you down with a delicious mix of restaurants guaranteed to leave you full and happy! We had a great time sampling the fare in Daytona Beach starting with the classic Starlite Diner. You can get breakfast anytime of the day or choose from a wide variety of family favorites. 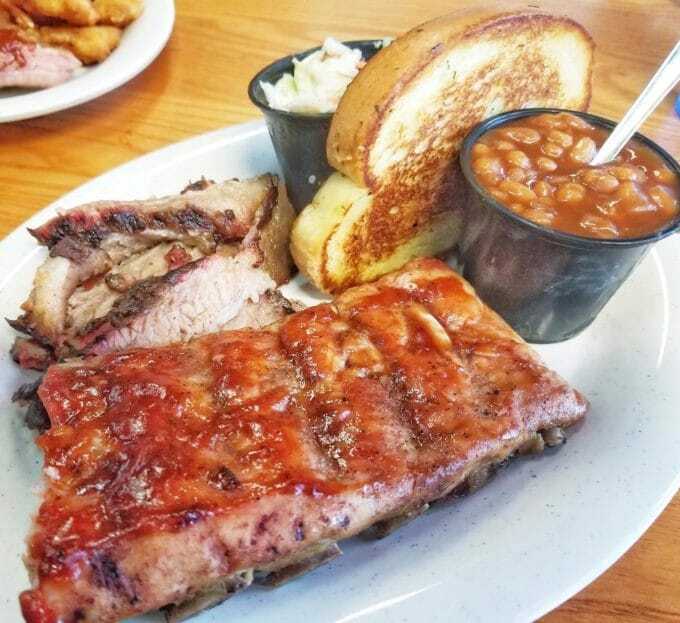 Some might say we were in Hog Heaven with the smoked ribs and meats we enjoyed in Daytona Beach and that would definitely be the truth in more ways than one! Hog Heaven on Atlantic Ave offers some of the best-smoked meats you’ll find in the area with a great selection of combo platters so you can sample a few of their offerings. 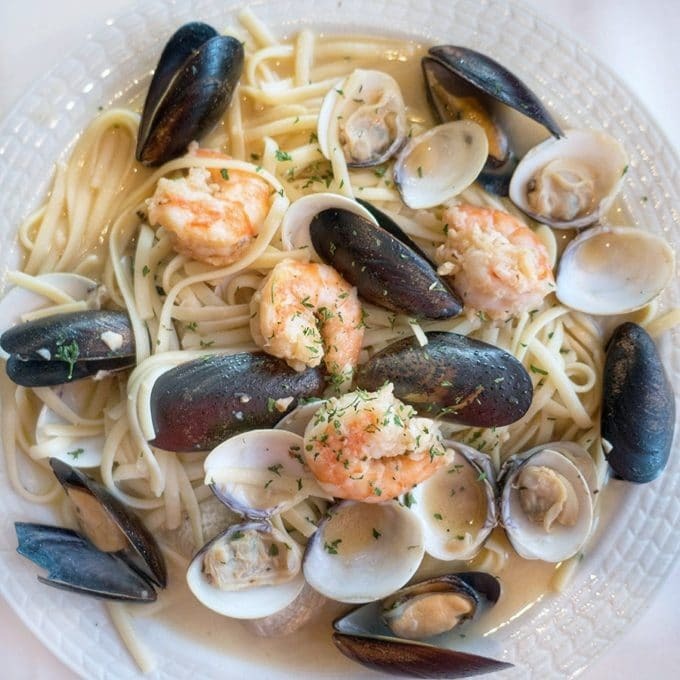 If classic Italian fare is more to your liking Anna’s Trattoria on Seabreeze Boulevard is exactly what you’re looking for. My wife couldn’t stop raving about their seafood and pasta dish! I do love to eat and when there’s a view of the ocean I’m even happier. The Ocean Deck on Ocean Ave in Daytona Beach offers up some delicious pub fare with stellar views of the Atlantic. 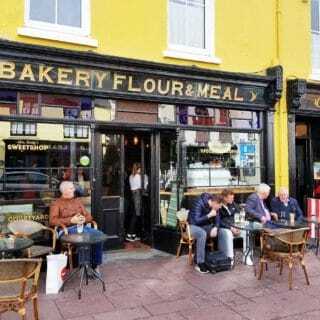 It’s a great place to relax, have a brew and enjoy some good eats! 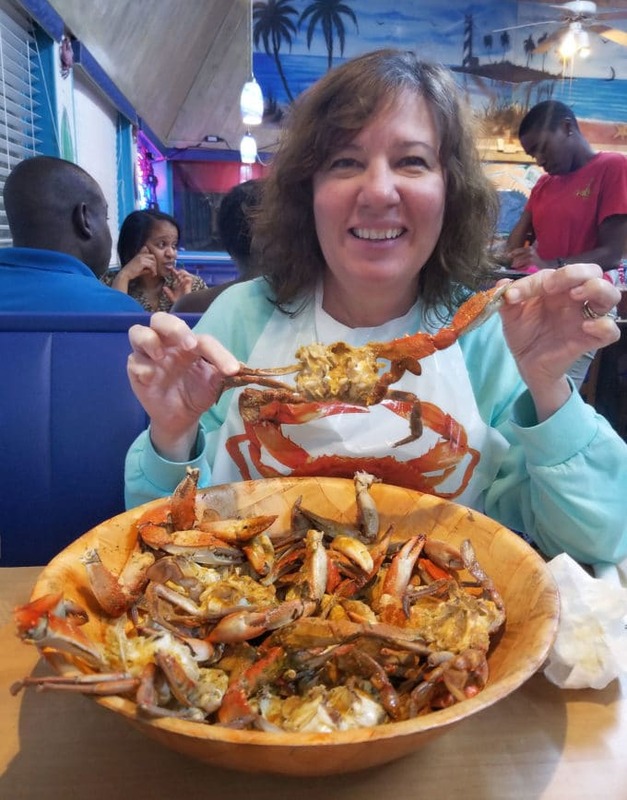 One of the highlights of our trip for my wife was a visit to The Crab Stop II for some of their world-famous Garlic Crabs! Now we know where to go for the best crabs in the area. Of course, it isn’t all about eating when you’re in Daytona Beach but it’s good to know there is such a variety of restaurants and cuisines. 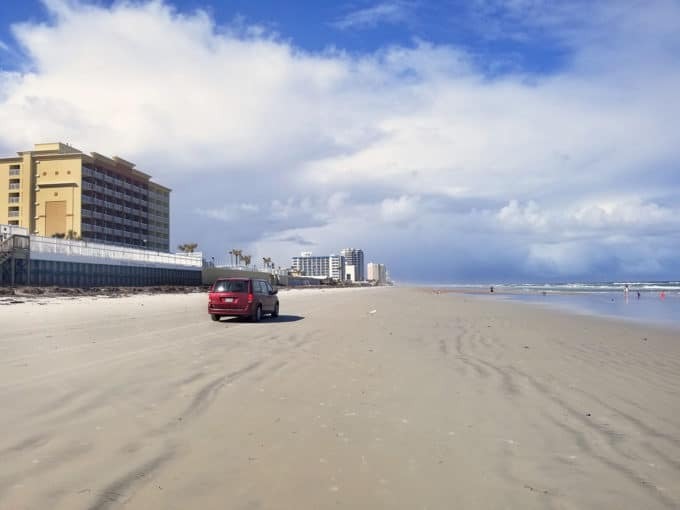 Everyone knows that Daytona Beach has some of the best beaches in the country and they also permit driving on the beach. We stayed right on the beach at the Sea Shells Beach Club and not only did we have a great view of the Atlantic we had direct access to this beautiful beach. 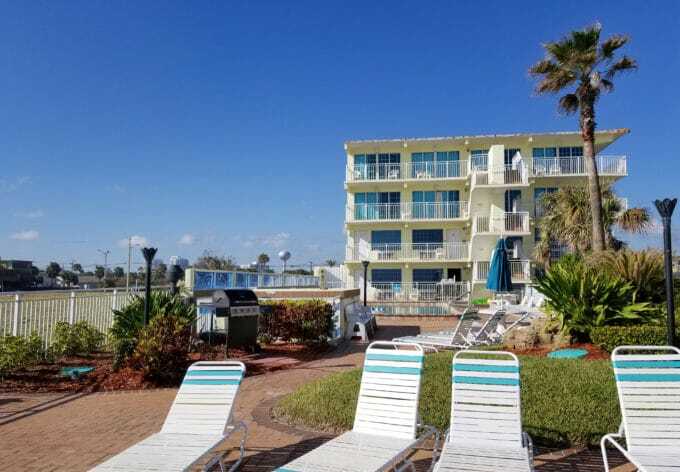 You’ll find a wonderful selection of resorts in Daytona Beach which makes it easy to find something in everyone’s budget. 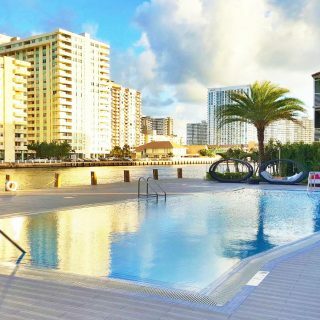 The Sea Shells Beach Club was a perfect choice for our lifestyle. Great Service, super clean rooms, kitchenette and a view of the ocean from our balcony (we had the fourth-floor room just to the left of the stairs). 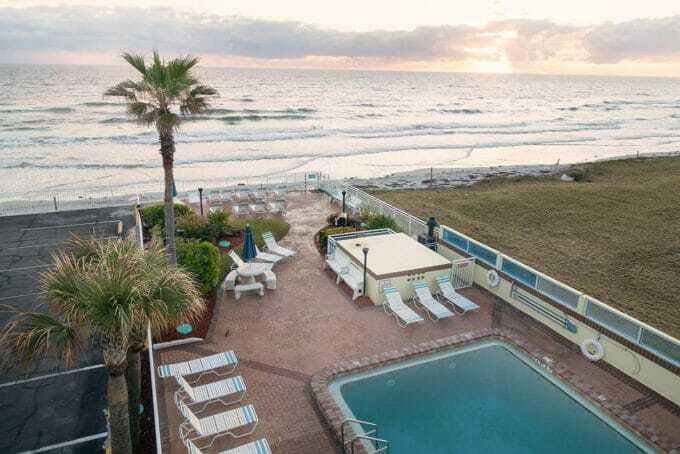 So whether you take a day trip or spend a month, Daytona Beach makes the best beach base camp. 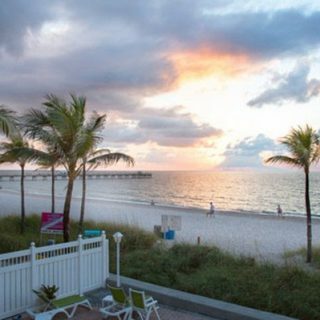 With 23 miles of beaches – some are action packed and many are simply naturally relaxing – you’re sure to find a spot that’s just right. 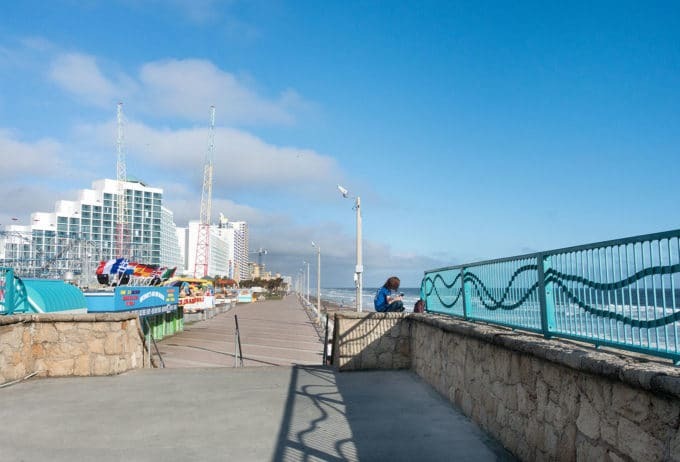 You can always take a stroll on their Boardwalk. We had it all to ourselves on this Monday morning and enjoyed a delightful relaxing walk along the ocean. 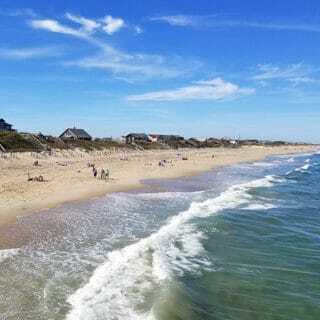 In addition to the gentle surf and perfect weather, there are festivals galore, top-ranked golf, hiking and biking trails, boating, fishing and so much more to explore. 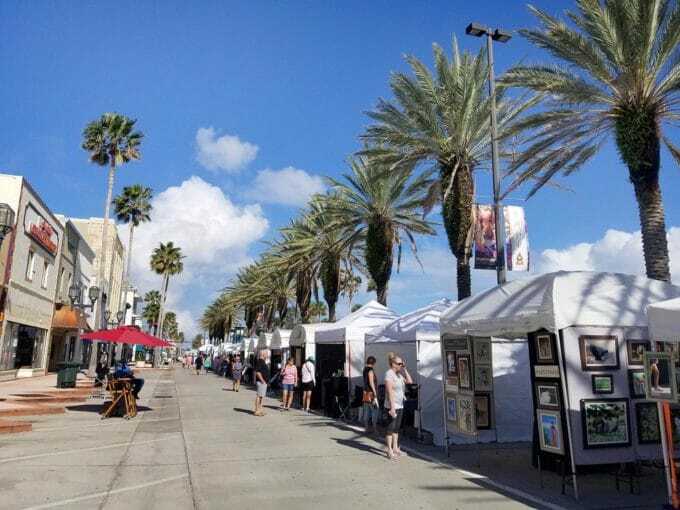 While we were staying at Daytona Beach we got to enjoy the Halifax Art Festival. We got an early morning start beating the crowds and enjoying all of the amazing displays by local artisans. 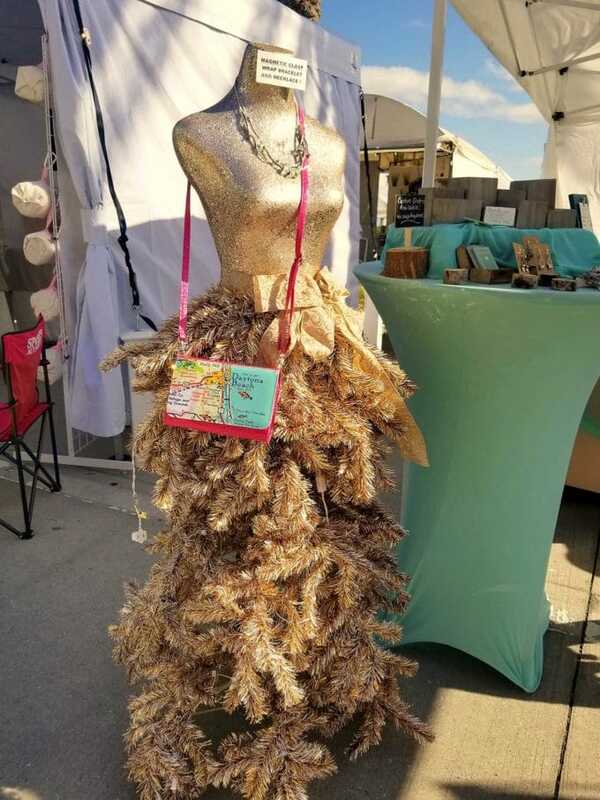 I love Florida and this Christmas tree mannequin is just another example of the easy laid back Florida lifestyle. While we were staying in Daytona Beach, Bruce Hornsby was in concert at the Peabody Auditorium. I only wish I had found out about sooner. 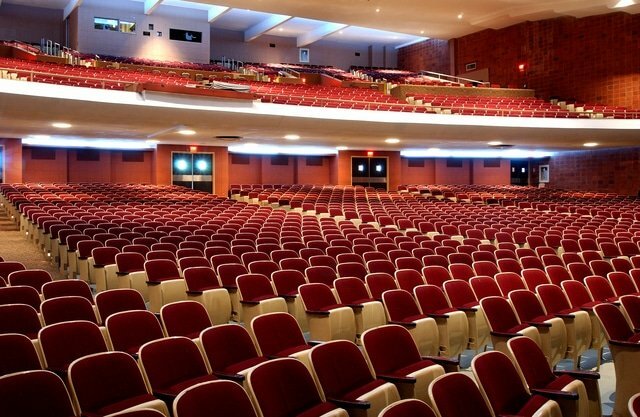 When you visit Daytona Beach make sure to check out the Peabody Auditorium Concert Schedule. It is a great venue and so easy to get to. So I guess my question is, when are you going to visit Daytona Beach? Fall and Winter are perfect times to enjoy the Endless Summer. 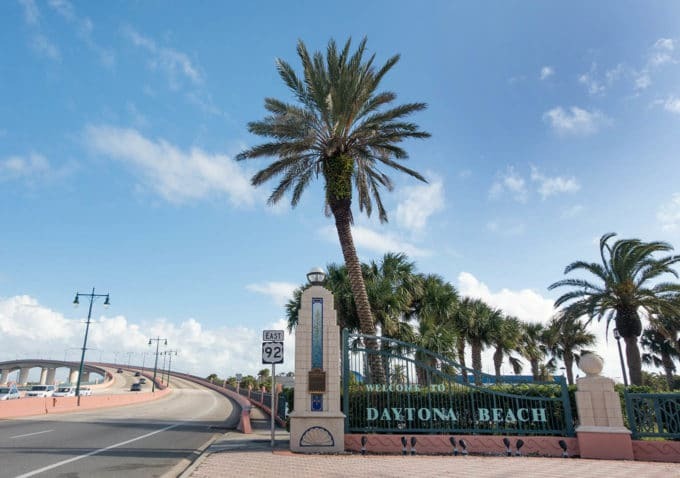 To learn more about Daytona Beach and to see how you can relax and enjoy all the deliciousness they have to offer, sign up for their Endless Summer Fall Newsletter. 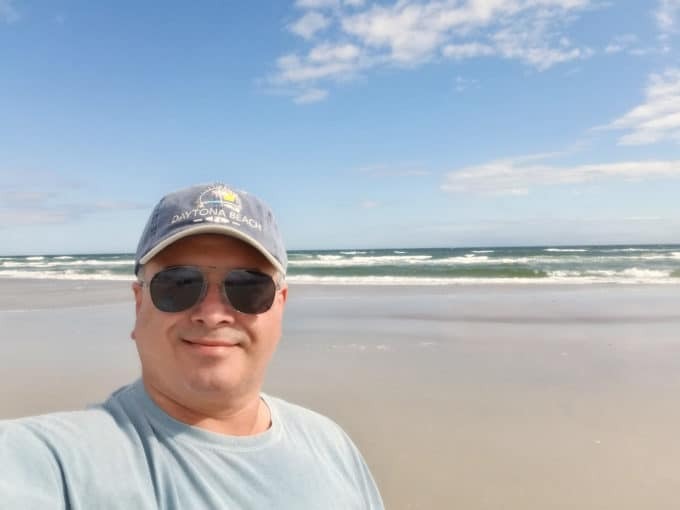 If you enjoyed my post about traveling in Daytona Beach please leave a comment, I love hearing from you! You can also FOLLOW ME on Instagram @chefdenniseats and @chefdennistravels, Twitter and Facebook. I love visiting Daytona Beach in the offseason. Well done. Oh, those ribs have me reaming of another visit. My hubby and I planning about our staycation in Daytona Beach. and I am a bit excited, Especially my kids. The peaceful and pleasant ambiance of this place is so fulfilling. and I can’t wait to visit there in Holiday. I really need to make it out to Daytona Beach. I have never been there before. But it does look pretty amazing. That food looks incredible!! I am all about it. I haven’t been to Daytona Beach in a while, but there is so much to do! Looks like you guys had a LOT of fun – a lot of food and activities to do! I love daytona beach! I would love to go back there again sometime in the future. We love visiting Daytona. Seeing your photos makes me want to go back. I’ve never been to Daytona Beach but would love to someday. I love how beautiful the beaches are. The sand looks so smooth and the ocean looks so relaxing. All the food you spoke about looks so delicious. Also, the Sea Shells Beach Club sounds like an amazing place to stay at. My husband and I are planning a beach vacation but we did not consider Daytona. Knowing that it is warm enough in the winter to enjoy and that the crowds will be gone makes me want to book it right now! I’ve been to Daytona Beach many times and absolutely love it! 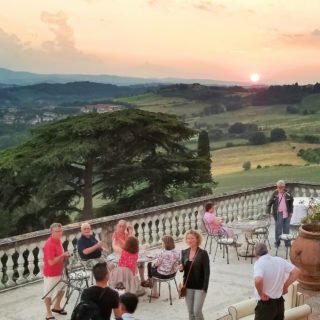 It looks like you had a fantastic trip with amazing food and a gorgeous place to stay.